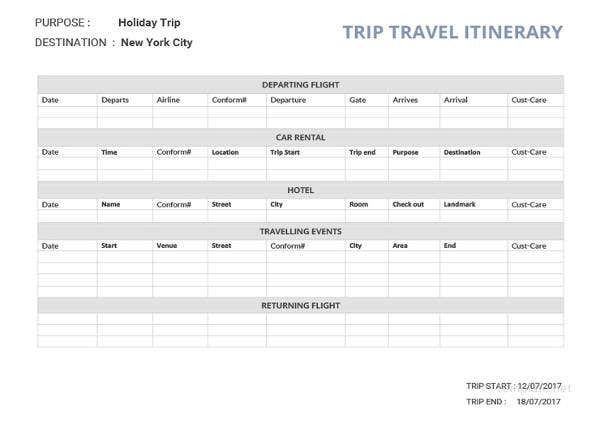 An Itinerary is a schedule that is designed for various events and also for travel purposes. 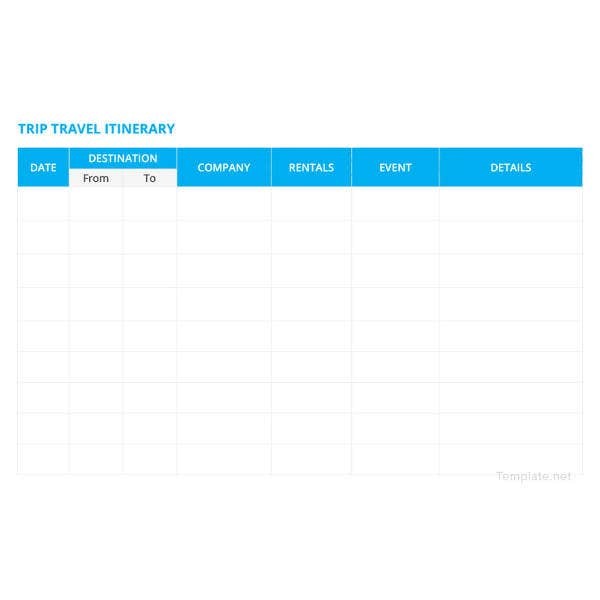 It is a proposed outline that marks the activities that should be expected during an event or a trip. 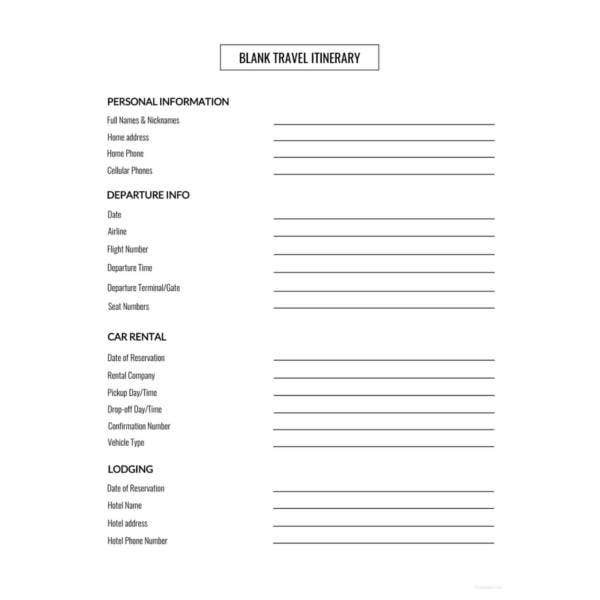 An itinerary can be tentative or fixed depending on which stage the plan is. Mostly it is assumed that itineraries are prepared specifically for the purpose of travelling but this is not the case. They can be prepared for other events that comprises of various activities and requires time management. To know more, we have prepared various kinds of itineraries that are helpful in day to day life and helps you in staying organized. 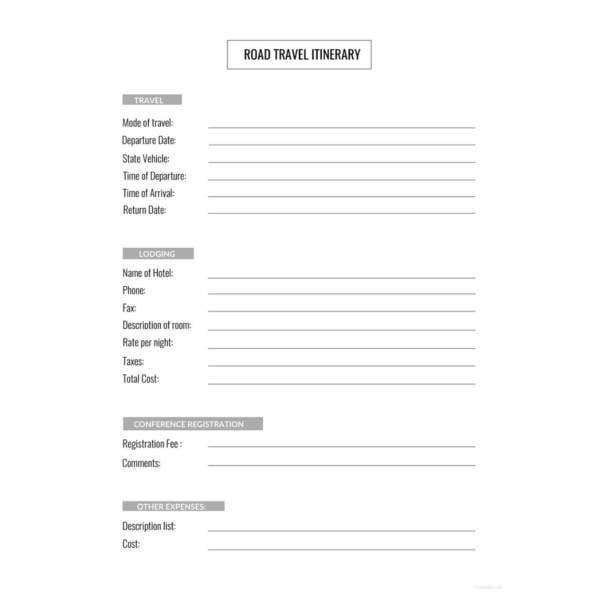 You can download the itinerary template and prepare one for yourself. When going to a different place for a trip, you do not want to feel lost and helpless and this is where itinerary comes to your rescue. 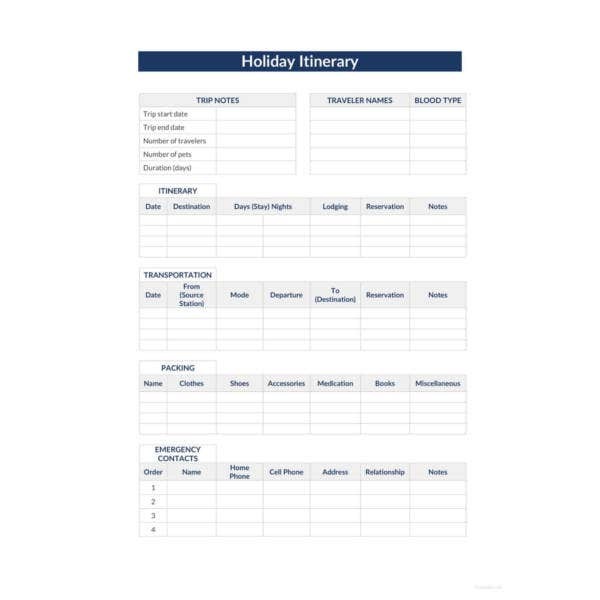 An itinerary shows that the trip is well planned. It list down important details about the place and list all the interesting places one can visit there. Birthday parties are a big deal these days. Whether you it is your friend, spouse or child you want to make it special, grand and of course memorable. If you have the birthday itinerary ready, you can certainly have a memorable birthday party. There are a lot of things that are to be taken care of and you can very well do it with the help of an itinerary. A bachelorette party is thrown for a woman, who is about to get married, by her friends. It is a tradition that takes place before the marriage and mostly is a part of the event. It is a crucial event for the bride-to-be as well as for her friends and therefore to avoid any kind of let downs it is best to prepare a bachelorette itinerary that lists all the important activities that will be taking place during the party. 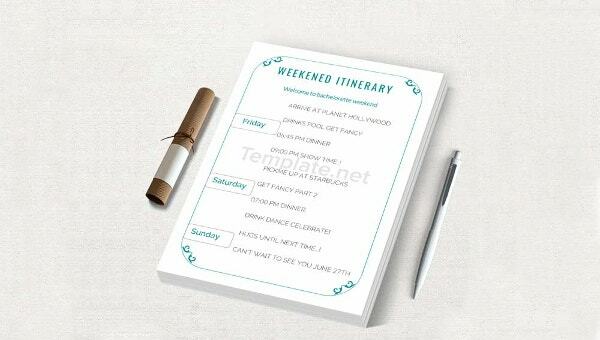 If you have to a bachelorette to your friends make sure you have a itinerary ready. Even if there is no time left, make sure to download the free template and use it so that everything goes smooth. 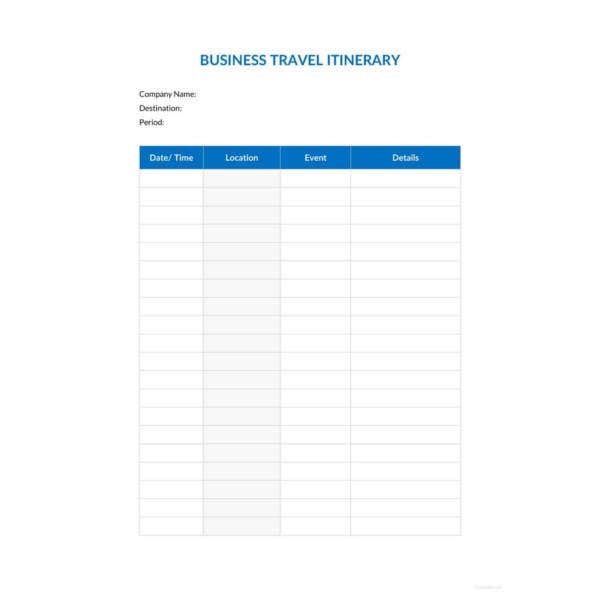 Business itinerary is generally referred to the schedule that is to be followed during a business trip. There might be a good number of employees on the trip and managing everyone can be a difficult task. 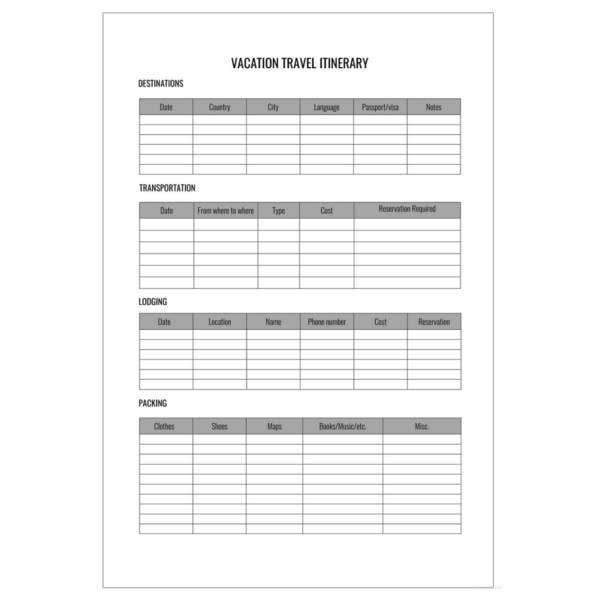 It is important that all of them are on the same page for the sake of productivity and time management and this can easily be done if everyone is provided with a itinerary. The itinerary will inform them about the business schedule much in advance which will make managment smooth. 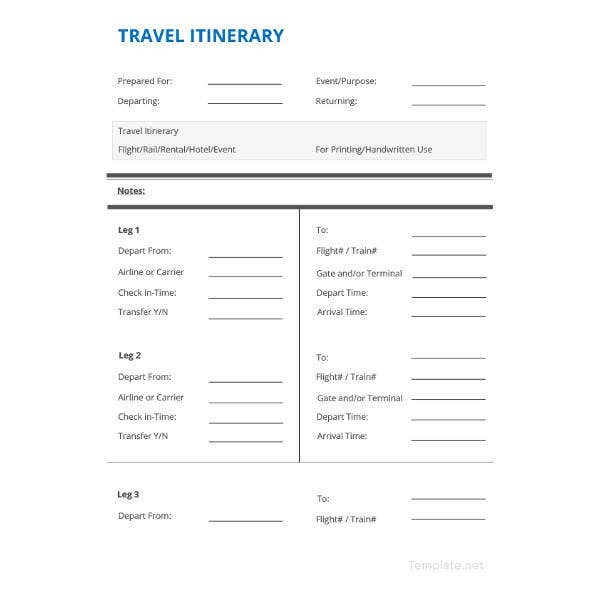 If you are traveling in multiple locations and have multiple flight schedule to follow, it is essential that you keep a flight itinerary, otherwise the repercussions can be serious. It helps you keeping in track of the flights and avoid any kind of confusion. A meeting itinerary states the date time and venue of the meeting along with the purpose behind the meeting. Everyone who is supposed to attend the meeting is provided with the itinerary so that they understand the purpose and agenda of the meeting and also have location details much in advance. 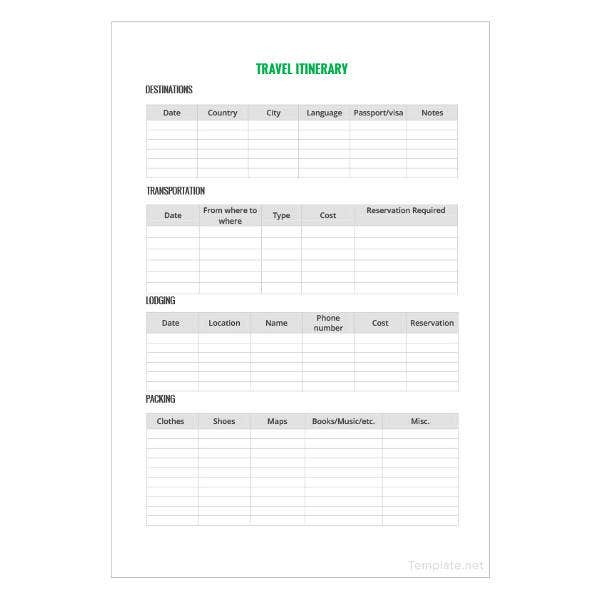 It is always a good idea to prepare a meeting itinerary to avoid any kind of confusion before the meeting. The templates provided here are free to download and are easily editable and print ready. They are available in doc format which makes them super easy to edit. We hope you find these templates useful. They can be used for personal as well as professional endeavours.